Variety of table shapes and sizes available to choose from. 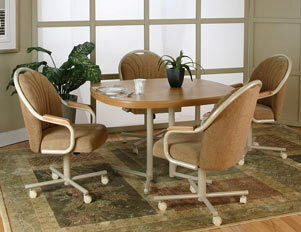 Mocha metal with oak arms and 1 standard fabric choice to choose from as shown in picture. Also available in an expresso metal finish.